The ninth contributor to the Edition Project is Maxwell Citron, an artist and musician originally from Chicago. The Edition Project itself is an ongoing one : each season a new contributor is invited to create a fresh piece of work which is joins the archive and is presented in the space. Just four Editions are produced each year, each one released in sync with the astrological calendar; Solstice, Equinox, Solstice, Equinox. 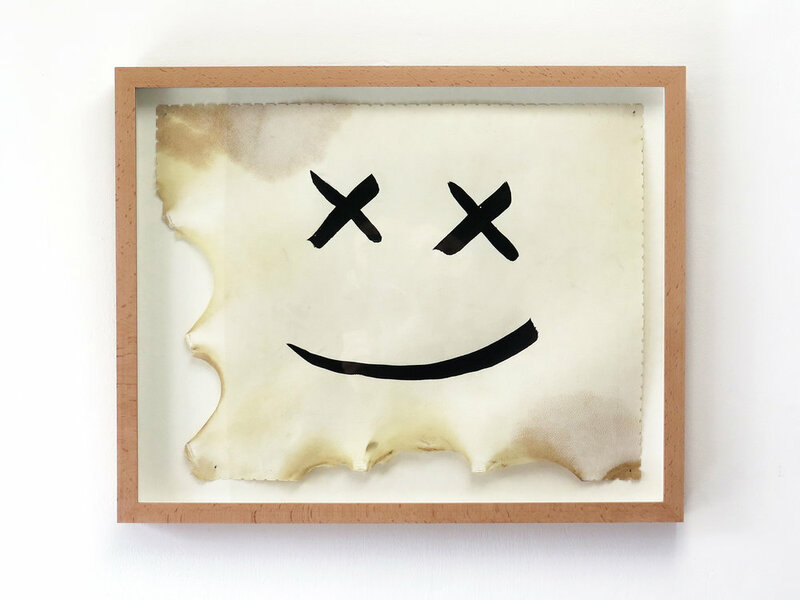 Max's series is a group of four related works; four 'dead-eye' brush and ink paintings using a single piece of parchment as canvas. These individual pieces were freed by perforating and cutting the rawhide panel to release each quadrant. One of these four pieces joins the archive and one will remain with the artist. The remaining two are now available to purchase.